Well, Happy Super Bowl Sunday, everybody! 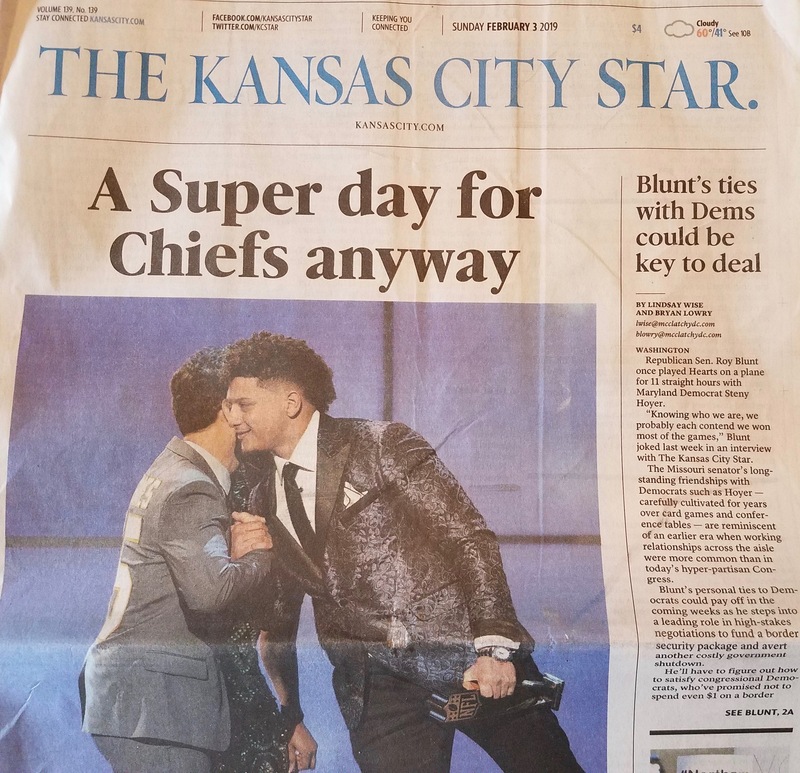 As you saw from this morning’s Kansas City Star, it’s a great day to be a Chiefs’ fan — even if the Chiefs aren’t in the big game in Atlanta. Funny thing, though…you’d hardly know the Super Bowl was being played today if you were just relying on The Star. 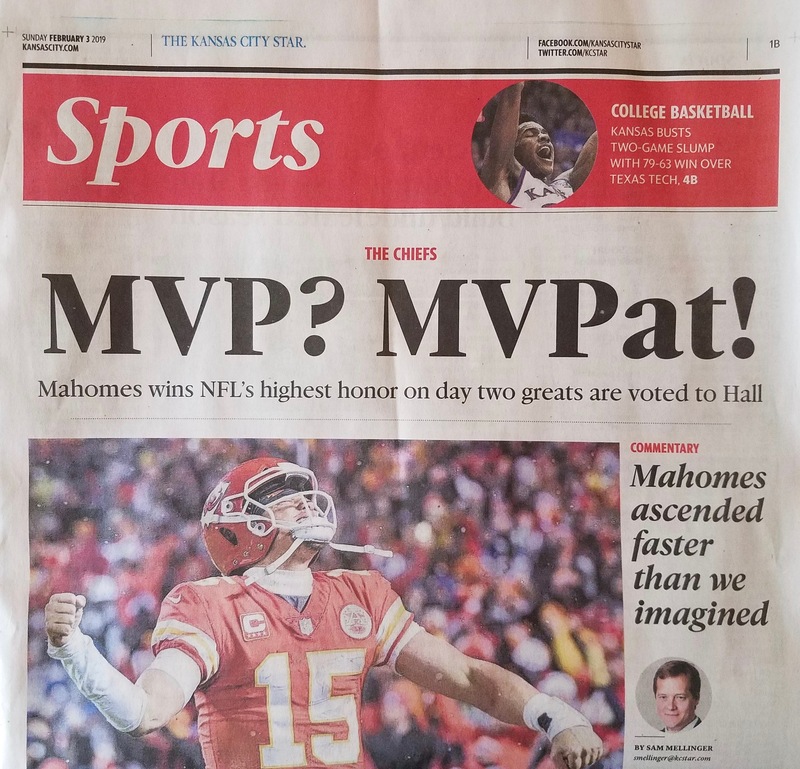 The front pages of the last remaining “live” sections of the paper were, uh, papered over with images of Chiefs’ Quarterback Patrick Mahomes, who was voted the NFL’s Most Valuable Player yesterday. As of Monday, The Kansas City Star will be changing its name to The Kansas City Sporting Star. In these challenging economic times, we have decided to bulk up our sports coverage and believe the name change, while significant, is appropriate. Specifically, we will now give you day-to-day, year-round coverage of the Chiefs. (For example, look for our story soon about Pat Mahomes buying a $2 million house in the Ward Parkway area. We’ll have exclusive, interior photos!) At the same time, we pledge that our end-zone-to-end-zone coverage of Missouri and Kansas news will not diminish one iota. In fact, we are considering hiring a new local reporter in 2020. Finally, we thank you for your loyal support and hope you will call us and let us know how you like the change. Call takers in India are standing by. :: During the off seasons, Chiefs’ linebacker Dee Ford will be in charge of aligning bi-state coverage of Missouri and Kansas athletics. 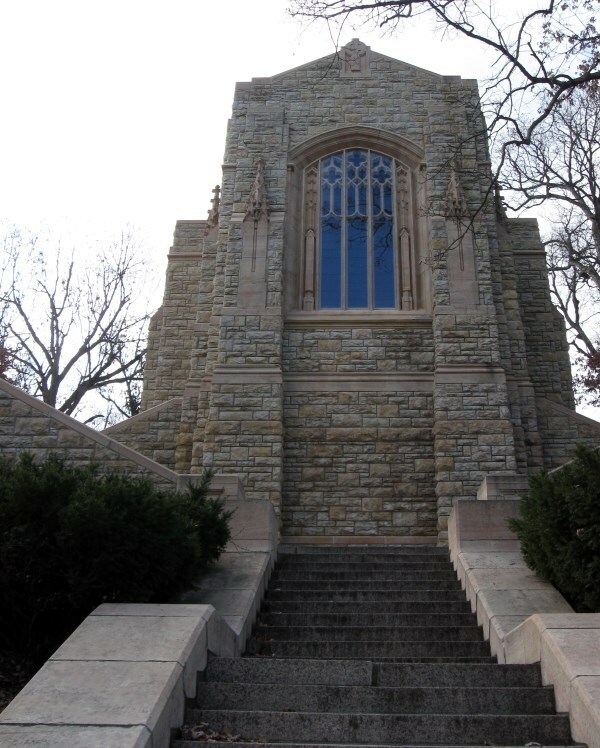 …Meanwhile, out at Mount Washington Cemetery, the ground was reported to be rocking under the Gothic Tutor mausoleum where KC Star founder William Rockhill Nelson’s body is entombed. Hang on, Rocky, the times they are a changin’. The ghost of Vaughn applauds. You’ll have to ask Edward E. Scott, son of the late Jim Scott, longtime KC Star editorial page editor. If they crap can the entire editorial board, I’m in. Didn’t anyone give you a new calendar for 2019? We’re still a few months away from April 1. OMG, I just laughed my fool head off. You almost got me. My favorite part was that Steve Rose was getting $100 a column. And 60% accurate sources. I’m wheezing out here in Cedar Creek! LOLOLOLOLOLOLOL!!!!! Thank you, Lisolette…Good to hear from the Olathe division of the JimmyC fan club. I think this is more like Woody Allen working at the Follies Bergere where Woody paid the 200 Francs to work there. Rose probably paid The Star to let him have a column. Don’t quit your day job, wild man. Actually, I believe that was overheard at the *wine* cooler.